Ever wondered how those amazing photos of a drop touching the surface of a puddle, or a bullet passing through an apple were taken? You may have attempted to capture a rapidly moving object or action with your regular digital camera, and have possibly been disappointed with the resulting blur. The truth is that you need a high-speed camera to capture a perfectly clear photo of an object which is moving quickly. High-speed cameras are designed to capture things which we cannot see under normal conditions due to the high speed of the action. They are specially designed to record these fast moving objects which are invisible to the human eye and are used not only for art photography but for scientific, industrial quality control, military, sports and for other purposes. High-speed photography is the opposite of extended exposure photography. To make a successful high-speed photograph, some photographers take high-speed photos in complete darkness, with the shutter open and with just a single flash or burst of light to illuminate the moving object for just a moment which can be as short as 30 microseconds. In real life though, when shooting sports or military action, for example, this is not possible because the photographer cannot rely on complete darkness to get that perfect shot. This is why high-speed cameras with extremely fast shutter speeds are used. While normal cameras have shutter speeds of 1/125th of a second, high-speed cameras can feature shutter speed as fast as a 1/8000th of 1 second. The light exposure is fundamental, but it is not the only determining factor needed for taking a successful high-speed photo. The other key factors are detection, synchronization, and imaging. Since in most cases, the movement is so fast, that there is no way that the photographer can know when the exact moment to take the picture, various triggers are used to detect the movement remotely. These can include sound, vibration, light interruption or contact. When the photo is being taken with a flash burst in a completely dark room, the sound detection is the easiest way to know when to trigger the flash and to capture the image. This is done via special piezoelectric film which reacts to sharp sudden sounds, the sound is boosted by an amplifier and instantly sends an electric current to the silicon controlled rectifier (SCR). The SCR acts as a switch and triggers the burst of light from the flash. When the high-speed photographs are taken outdoors, the timing is very important as well. The camera has to be synchronized to shoot at the very moment when the passing object crosses the frame. This is why knowing the delay time between the image capturing and the object’s movement is essential. The type of film used is also crucial for the successful end result when it comes to high-speed photography. A higher ISO or speed of the film is more suitable for high-speed photography. High-speed cameras can capture fast-moving images with an exposure time of less than 1/1,000 second and frame rates of 250 frames per second. 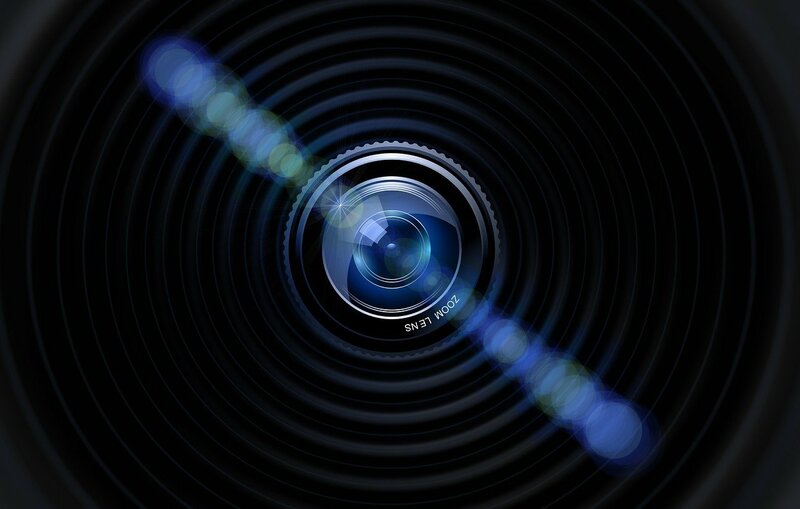 High-speed cameras can capture detailed images of the moving object and then after they are recorded on a storage medium, they can be re-watched in slow motion. The two type of high-speed cameras used today have either CMOS active pixel sensors or CCD (charge-coupled device), which can record more than 1,000 frames per second to the storage, and which can later be played back for inspection, for scientific purposes, for measurements, etc. There are high speed cameras which record on film, others which record to digital memory, as well as high speed framing cameras which capture multiple locations on the same image plane or multiple image planes, as well as line scan cameras which capture very precise images of a moving object line by line as it moves in front of them. Today, high-speed cameras are widely used in the industry for monitoring quick moving production processes or for inspecting continuously moving products, as well as for watching very quick actions in slo-mo, such as crash tests performed for Vehicle Impact testing. Typically, the sensors of the high-speed cameras are custom designed to serve the purpose they are needed for. The technologies used to provide a combination of speed, resolution, and sensitivity necessary for capturing images of fast-moving objects. Apart from the very fast sensor, digital high-speed cameras also feature a pipelined architecture, high parallelism, ultra-fast electronics and memory, all aided by the specialized algorithms used for the image processing. Sufficient and consistent light is needed for the proper detailed capturing of high speed processes and moving objects too. In some cases, black and white filming is used in order to reduce the lighting needed for the high-speed image capturing. The latest high-speed cameras convert the incident light into a stream of electrons deflected on a photoanode and turned back into photons which are recorded on CCD or film. High-speed cameras are commonly used for televising various sports events, in order to provide slow-motion replays, and to capture the goal line or the finish line, so that they can be re-watched to determine who the winner in a race is or whether the ball went over the goal line during a Furthermore, various moving processes are being filmed for scientific purposes with high-speed cameras. Today, high-speed cameras are commonly used as part of machine vision systems for process control and for quality inspections and control in various industries, where there are fast moving machines, processes, conveyor lines and others which cannot be stopped for manual inspection. These systems for automatic control and inspection have special motion encoders to determine the speed and pass on the information to the camera so that the frame capture rate is synchronized with the speed of the moving object being filmed. Triggers “inform” the camera where an object starts and where it ends, so that a full image of the entire moving object is captured. All of these are processed by specialized hardware and software so that the resulting image is full, precise, non-distorted and without blurring. This saves production owners a lot of money from not stopping the production for inspection, as well as not relying on humans to perform the ongoing control and from lowered production losses from wasted or non-conforming production or repair time for broken machinery.